Home of the heroes of India, West India is the land of Chhatrapati Shivaji Maharaj, Sri Dhyandev Tukaram, Mahatma Gandhi and many others. It is states of Gujarat, Maharashtra and Goa, along with the Union territory of Daman & Diu and Dadra & Nagar Haveli that form West India. As different the names are so is their culture, heritage, history and lifestyle. Woven by the West ghat mountain range this region is blessed with stupendous flora and fauna. West India is a delight for tourists owing to its contrasting combinations of tourist places. Geographically, Gujarat has its white desert, “Rann of Kuchh” to pride, while Maharashtra vouches for its cloud cladded hill stations perched on the West ghat mountains. West ghat is also known for the “hottest hot-spots" of biological diversity in the world. Further it’s Goa that is globally known for its beaches, music fests and aquatic sports. Heritage and history lovers have galore to explore. Be it parts of Indus Valley Civilization in Goa or the remains of the Maratha Empire in Maharashtra. West India has experienced great upheavals during India’s struggle for Independence, the prominent being Gandhi ji’s Dandi March in Gujarat. Heritage sites such as the Ajanta and Ellora Caves, Elephants Caves, Gateway of India, Victoria Terminus and more in Maharashtra; AdlajVav and Aina Mahal in Gujarat and the ruins of many Churches and Cathedrals of Goa like the Ruins Of St. Augustine's Tower, Se Cathedral, Church Of St. Francis of Assisi and more have interested travelers from the world. Along with history, spirituality and deep set believes have also made people come here. Sai Baba at Shirdi (Maharashtra), Siddhi Vinayak Temple (Maharashtra), temples of Dwarka (Gujarat), Somnath temple (Gujarat), Palithana temples - Jain Mecca (Gujarat), St. Cajetan Church (Goa), Basilica Of Bom Jesus(Goa), Chapel Of St. Catherine(Goa) are a few to name. The Portuguese influenced Diu is a beautiful getaway to golden beaches, fringed with dense palm-groves and historical monuments. West India tour remains incomplete without experiencing its varied cuisines, culture, festivals, adventure & aquatic sports. Time to plan your holiday here and experience the true colors of this zone of India. 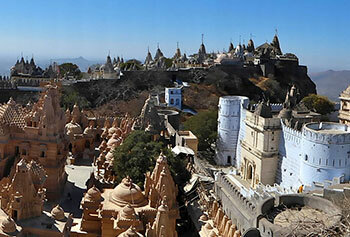 "I along with my whole family loved the Rajasthan Forts which we visited in March. I experienced its exotic beauty and unheard historical tales. Not only is the architecture jaw-dropping, but the people are also good by heart. India is a fantastic country! It’s only some months since I’m back to my place but I am missing India." 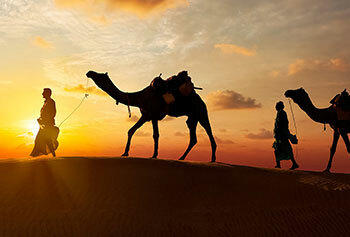 "My journey to Western India was not just a journey but a bundle of memories. I am not able to come out of the fun I experienced there. My daughter asks me daily, “Mom when are we going back to India?’’. I just have one answer with me and that is none other than, “really soon’’." "I loved the ‘jalebi fafdha’ from Gujarat. Also, I bought some of them to my place for my family members and some of my neighbours. Apart from this, the Marine Drive in Mumbai was a view that is worthy of being praised. It’s really beautiful. Thank You Max for letting me enjoy my life here. "